In their drive to compete effectively in the emerging worldeconomic order, today's enterprise organizations are undergoing aperiod of radical redesign, restructuring, and redefinition. Asthey do so, they are coming to rely more and more upon designprofessionals to help them build their roads to the future. Thismeans that unlimited opportunities now await the architect who canlook beyond the everyday aspects of professional practice and learnas much as possible about his or her clients' worlds. But forgingenduring partnerships with clients requires more than just provendesign skills on the part of an architect. Today's successfularchitect is as much a business executive as an artist. He or sheis conversant in an array of core business skills--includingmarketing, client relations, leadership, strategic management, andothers--rarely covered in professional education programs. 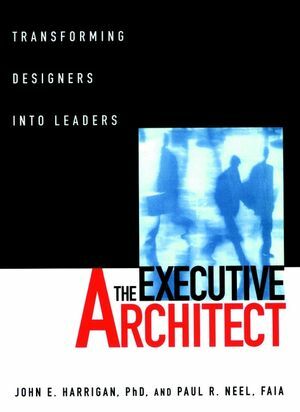 Based, in large part, upon Professor John E. Harrigan's innovativeexecutive program for architects at California Polytechnic StateUniversity, The Executive Architect fills that critical gap inprofessional education. In addition to schooling designers in awide range of crucial business concepts, tools, and techniques, itprovides a complete blueprint for transforming a practice from onebased on the fulfillment of commissioned services to one based onan ongoing engagement with every aspect of clients' worlds--theirgoals, risks, opportunities, and unique corporate cultures. In creating this innovative guide, authors Harrigan and Neel drewon the experiences of more than a dozen of the nation's mostrespected executive architects, including Arthur Gensler, CharlesLuckman, and Judy Rowe. Throughout the book, these industry leadersoffer their insights, advice, and guidance on a wide range oftopics, from leadership to benchmarking, from forming strategicpartnerships to building knowledge base systems. Also featuredthroughout the book are numerous instructive case studies. Based onthe Harvard Business School model, these studies present a broadarray of successful decision-making examples. The Executive Architect helps designers acquire the skills neededto expand beyond the boundaries of current practice and to exploitthe unlimited opportunities and challenges of doing business in thenew world economic order. JOHN E. HARRIGAN, PhD, is Professor of Architecture at Cal Poly,San Luis Obispo, and the founding director of that school'sexecutive graduate program for architects. He is also Director ofResearch for the firm of Wolff/Lang/Christopher Architects. PAUL R. NEEL, FAIA, is Dean of the College of Architecture andEnvironmental Design at Cal Poly. Mr. Neel was recently awarded theAIA's Edward C. Kemper Award for outstanding service in the publicsector.